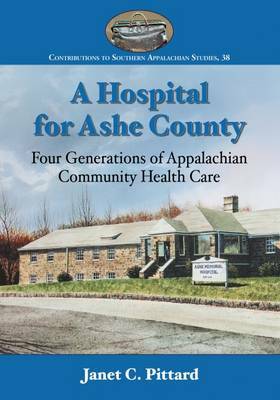 When Ashe County Memorial Hospital opened in November 1941, it was the realization of a dream for the poor, sparsely populated county in the mountains of northwestern North Carolina. Building a hospital is a major undertaking for any community at any time. Accomplishing this in the waning days of the Great Depression and on the brink of World War II, while scant local resources were taxed by catastrophic floods and severe snows, was a remarkable feat of community organization. This is the story of the generations of supporters, doctors, nurses, emergency personnel and others whose lives are interwoven with regional health care and the planning, building and operation of (the ""new"") Ashe Memorial Hospital. This legacy, brought to life through 114 photographs and personal interviews with 97 individuals, traces the development of health care in a remote Appalachian community, from the days of folk remedies and midwives, to horseback doctors and early infirmaries, to the technological advances and outreach efforts of today's Ashe Memorial Hospital.